On the 13th (Sat), wander the streets of Pike Place Market and then tour the pleasant surroundings at Kerry Park. On your second day here, enjoy breathtaking views from Space Needle. 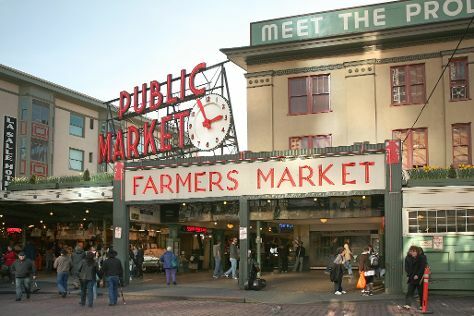 To find more things to do, traveler tips, reviews, and tourist information, use the Seattle tour itinerary planner. Indianapolis to Seattle is an approximately 7-hour flight. You can also drive; or do a combination of bus and train. The time zone changes from Eastern Standard Time to Pacific Standard Time, which is usually a -3 hour difference. Traveling from Indianapolis in July, Seattle is slightly colder at night with lows of 60°F. Cap off your sightseeing on the 14th (Sun) early enough to travel to Eastsound. Eastsound is an unincorporated community on Orcas Island in San Juan County, Washington, United States.Eastsound is the largest population center on Orcas Island, the second-most populated and physically largest of the San Juan Islands. On the 15th (Mon), explore by horseback at Orcas Island Trail Rides, relax in the rural setting at Buck Bay Shellfish Farm, and then admire the majestic nature at Moran State Park. To see where to stay, ratings, more things to do, and other tourist information, refer to the Eastsound online route planner . Traveling by car from Seattle to Eastsound takes 3.5 hours. Plan for little chillier temperatures traveling from Seattle in July, with highs in Eastsound at 71°F and lows at 55°F. Finish your sightseeing early on the 15th (Mon) so you can travel to Bellingham. Start off your visit on the 16th (Tue): look for all kinds of wild species at Sehome Hill Arboretum and then take a stroll through Fairhaven Historic District. To see more things to do, other places to visit, traveler tips, and other tourist information, go to the Bellingham trip maker tool . You can drive from Eastsound to Bellingham in 3 hours. In July, daytime highs in Bellingham are 74°F, while nighttime lows are 56°F. Finish your sightseeing early on the 16th (Tue) to allow enough time to drive to Tacoma. Tacoma is a mid-sized urban port city in and the county seat of Pierce County, Washington, United States. 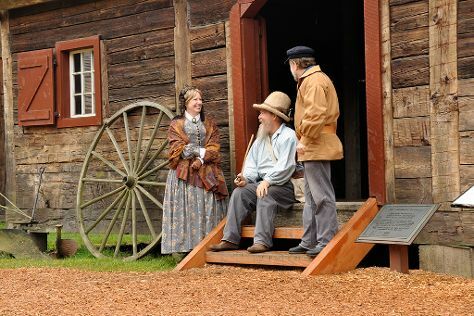 For where to stay, other places to visit, traveler tips, and other tourist information, refer to the Tacoma trip planner . You can drive from Bellingham to Tacoma in 2.5 hours. Alternatively, you can take a train; or do a combination of flight and bus. July in Tacoma sees daily highs of 77°F and lows of 56°F at night. Finish up your sightseeing early on the 17th (Wed) so you can go by car to Olympia. Olympia is the capital of the U.S. To find ratings, other places to visit, and tourist information, use the Olympia trip itinerary maker site . Traveling by car from Tacoma to Olympia takes an hour. Alternatively, you can take a bus. Traveling from Tacoma in July, expect little chillier with lows of 51°F in Olympia. On the 18th (Thu), wrap the sightseeing up by early afternoon so you can take a bus to Olympic National Park. On the 18th (Thu), delve into the lush surroundings at Olympic National Park. Get ready for a full day of sightseeing on the 19th (Fri): take in the dramatic scenery at Merriman Falls, then relax in the rural setting at The Lavender Connection, and then relax in the rural setting at B&B Family Farm. To find maps, more things to do, traveler tips, and tourist information, you can read our Olympic National Park online route planner . You can take a bus from Olympia to Olympic National Park in 3 hours. Expect slightly colder weather when traveling from Olympia in July: highs in Olympic National Park hover around 70°F, while lows dip to 52°F. Wrap up your sightseeing on the 20th (Sat) to allow time to travel to Neah Bay. Neah Bay is a census-designated place (CDP) on the Makah Reservation in Clallam County, Washington, United States. For reviews, other places to visit, more things to do, and tourist information, you can read our Neah Bay road trip planning app . Use the Route module to find suitable travel options from Olympic National Park to Neah Bay. In July, daily temperatures in Neah Bay can reach 69°F, while at night they dip to 52°F. You'll set off for Seattle on the 21st (Sun). For more things to do, ratings, where to stay, and tourist information, read Seattle trip itinerary planner . Drive from Neah Bay to Seattle in 4.5 hours. Expect a bit warmer temperatures when traveling from Neah Bay in July; daily highs in Seattle reach 79°F and lows reach 60°F. Finish up your sightseeing early on the 21st (Sun) so you can travel back home.